Back pain is the most common reason for physician visits and for employee absence. The low back is most often affected, followed by neck and mid-back pain. Due to the upright anatomy of humans, the low back at the two lowest levels in the spine is most easily injured and prone to degeneration. 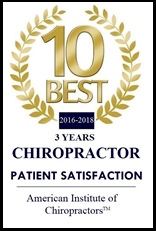 Dr. Eric Mitz, an experienced chiropractor in Evansville, IN can offer immediate improvement in some cases as well as provide medical advice, prevention techniques, and treatment for more long-term care. What Could Be The Root Of Your Back Problems? In many cases, back pain is due to microscopic injury to the ligaments or muscles or low-grade misalignment of the spine from injury or degeneration. An injury to the back may cause mild to severe or even disabling transient pain lasting from 3-7 days. Pain longer than this duration is usually associated with some other injury to bone, disc, or nerves. If you are experiencing any back pain after a car accident or injury, an evaluation by an experienced healthcare professional is highly advised. Lower back pain is most commonly experienced just lateral to the spine at the top of the bony pelvis. You may feel a dull ache or a sharp or shooting intermittent pain. Lower back pain can vary greatly in duration and severity. Pain may start suddenly, or show up gradually. Determining the cause of lower back pain helps direct an integrated treatment plan. Middle and upper back pain can be found anywhere from the bottom of the rib cage to the base of the neck. You may experience this as stiffness, a sharp or radiating pain, or aching or throbbing pain. You may also experience weakness, tingling, or numbness throughout the body as a result. Pain in the middle or upper back can be brought on suddenly by an injury or strain, or gradually. Sometimes the onset of pain is delayed and becomes worse over time. Back pain treatment may include rest, heat or cold therapy, massage therapy, spinal adjustment, rehabilitation exercises, and acupuncture or dry needling. In some cases pain medication or a muscle relaxant to help resolve the pain, however, we believe that pain management is most effective and sustainable using an integrated and natural approach. At Integrated Physical Medicine we assess each patient to create an individualized treatment plan to alleviate back pain by resolving the underlying cause. A disc is a cushion pad between the vertebral bodies. It acts as a shock reducing structure to prevent injury to bone, nerves, and muscles. This disc has a very strong outer ring called the annulus fibrosis and a central bubble-gum-like material called the annulus pulposus. A disc can be deformed by an injury, by recurrent injury or infection, or by degeneration. The disc can broadly bulge, focally protrude or extrude with injury or degeneration. An acute disc herniation is due to a short complete tear or focal thinning of the strong outer part of the disc (annulus fibrosis) with the inner bubble gum like material protruding through this area. Pain is produced by the disc compressing adjacent nerve roots and injury to the disc. Material from the protruded disc released into adjacent spaces around the nerves produces an inflammatory reaction. A tear of the disc is like a tear or laceration anywhere in the body. Pain is produced by a tear of the outer disc ring. Herniated discs are predominantly treated by bed rest, pain relief, medications, and time. Disc degeneration or disc disease is very common and the pain can be very severe and debilitating. A well-trained chiropractor can usually determine the underlying cause and prescribe appropriate and effective treatment. 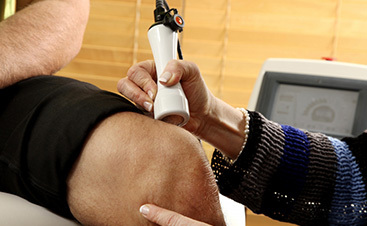 Dr. Mitz focuses on treating the whole patient, not just a specific injury. The goal is for patients to experience overall recovery as well as prevention and recurrence of back pain. A variety of treatment options is offered to help find back pain relief, including chiropractic care, massage, and acupuncture. Each and every one of the back pain treatments focus on removing the pain without pharmaceuticals or surgery. Call today to start living pain-free naturally. Schedule an appointment at (812) 401-2140!